The Setting—From Africa to the Middle East, radical terrorists have God’s people in their sights. Violence is escalating in many regions of the world. Believers are crying out to have Scripture in their mother tongue. They need to hear those precious words of forgiveness and healing, of peace and strength, and of courage and help in the midst of their struggles. The Need—Around the world, computer tablets and smartphones are so commonplace that few authorities scrutinize what people are doing on their personal devices. Wycliffe Associates is adding Bible translation and other helpful applications to basic tablets and handing them to brave national Christians who want to translate Scripture into their heart language. 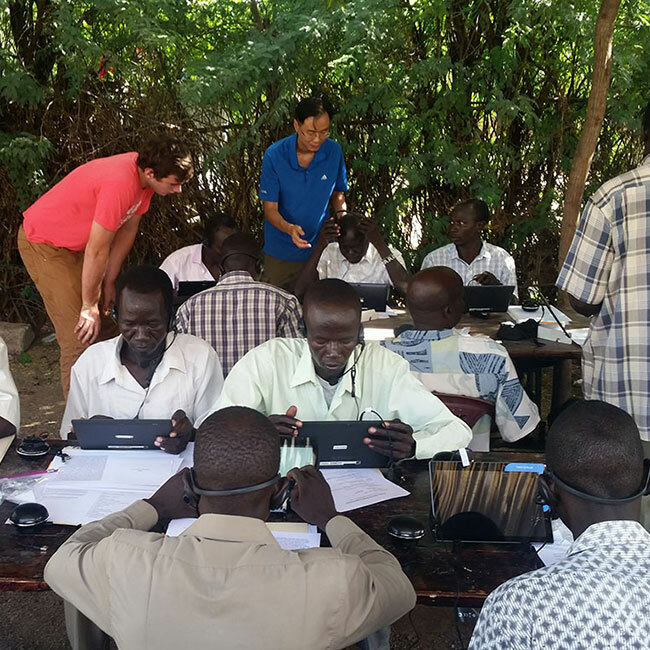 The Opportunity—Wycliffe Associates’ program, Tablets for National Translators (TNTs), empowers local believers and church members to work on Bible translation efforts any time and any place without anyone else knowing! This brand-new, high-tech tool helps believers hide Scripture translation efforts in plain sight. The Cost—Your gift of just $300 will place a computer tablet loaded with Bible translation applications in the hands of a local believer who is already crying out for help. Will you help us provide 1,500 TNTs to believers in strategic locations around the world? This year? Now? Tablets for National Translators empowers local believers and church members to work on Bible translation efforts any time and any place!